BIJOU had two seasons in Melbourne in 2016, one in June at La Mama Courthouse Theatre and the other in November at The Butterfly Club. Both had good reviews, good audience feedback. The show also had its Sydney season in August, same thing, good reviews and audience feedback. What’s next? We’ll let you know. BIJOU hits SYDNEY in 2016! Sydney season of BIJOU is at The Depot Theatre 142 Addison Road Marrickville. Directed by Susan Pilbeam, set design Imogen Keen, costumes Victoria Worley, original lighting design Gillian Schwab, choreography Liz Lea, musical direction Alan Hicks and Chrissie Shaw. A SPECIAL FEATURE: ON WED AUGUST 24 THERE WILL BE AN AUSLAN (Australian Sign Language) INTERPRETER AT THE SHOW, FOR PEOPLE WITH HEARING LOSS. THIS AWARD-WINNING SHOW VISITS COOMA ON SATURDAY JULY 16, 7.30pm, BEFORE HEADING TO SYDNEY IN AUGUST. DON’T LET IT SLIP BY!! Come and join Madame Bijou and her bar pianist Alain, in the ‘bar de bonnehomme de neige’ translated as The Snowman Bar, within the walls of the cosy Cooma Little Theatre! Bijou will spin a colourful tale and Alain will play some divine music. 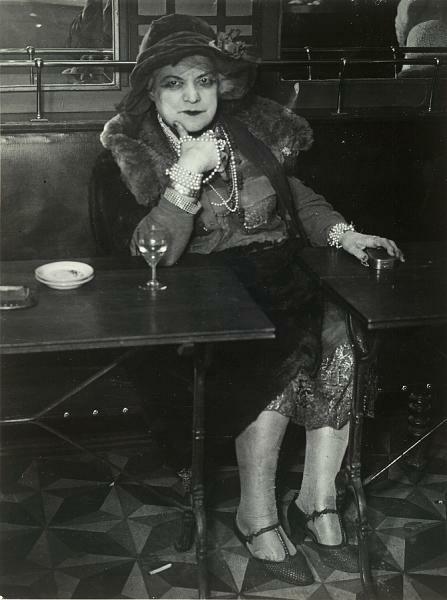 You’re transported to a café-bar in Paris 1933. A wine, a chat; the music plays… there’s a new face in the crowd. A ravaged figure enters, dressed in faded finery and fake pearls and the evening takes an unexpected turn. ‘Bijou’, former Queen of the Demi-Monde, unleashes a cascade of intimate, colourful memories, taking us backwards in time to the shadows of her youth. This sumptuous, funny, poignant cabaret peeps into the private, sensual world of a riveting Parisienne d’un certain age. Music of Satie, Weill, Hollander, Bruant and others, accompanies her stories and songs. Chrissie Shaw, award-winning theatre veteran, is a Canberra-based performing artist and writer. She has produced eight of her own shows, winning Critics’ Circle and Greenroom Awards, has visited Cooma Little Theatre with Women On A Shoestring’s “At the Cossroads” and Cooma Library with her children’s shows “Gran’s Bag” and “Flotsam and Jetsam”. “Bijou” is her latest work, which had two successful seasons at The Street Theatre in Canberra, and has toured to regional NSW, Sydney and most recently a very successful season in Melbourne’s La Mama Courthouse Theatre. Chrissie is joined by leading accompanist Alan Hicks as the long-suffering bar pianist. Alan is a pianist and vocal coach, currently at the Opera Unit, Sydney Conservatorium of Music, and Director of the University of Canberra Chorale. He appears regularly with the Canberra Symphony Orchestra, and the Australian Flute Festival, and has accompanied national and international singers and instrumentalists. Alan received a Canberra Critics’ Circle Award in 2014 for his contribution to the musical life of the ACT and region. Ticket prices: Full price $28. Concession $22. Angus Fraser 02 6746 1755 or 0422 154 512. SAWTELL: Golf Club Sawtell. Bayldon Road. Enquire about show only tickets to dqcoffs@hotmail.com OR phone 0405 763 939. WAUCHOPE: Wauchope Community Arts Hall, Oxley Lane adj to Bain Park. Date and Showtime: Friday May 22nd at 7.00pm. Great news, that Chrissie has received two awards for BIJOU. The Canberra Critics Circle have awarded Chrissie a 2013 Critics Circle Award ‘For the excellence and bravery of her writing and performing in BIJOU, a powerful cabaret-style piece about a woman of Paris’. The other award is from the ACT branch of the Media, Entertainment and Arts Alliance: Equity ACT Green Room Award for Professional Performer of the Year 2013, ‘for her creative tenacity in consistently producing imaginative work for herself and her peers, culminating this year in writing and performing in the wonderful ‘Madame Bijou’ at The Street Theatre’. Wonderful to receive these awards, and also great to know that professional artists in the ACT are acknowledged in this way. Thanks to the two organisations! Mes amis! Bijou will return to Canberra and tell her tales, sing her songs at Le Bar de la Rue, Street Theatre in Childers Street Canberra. 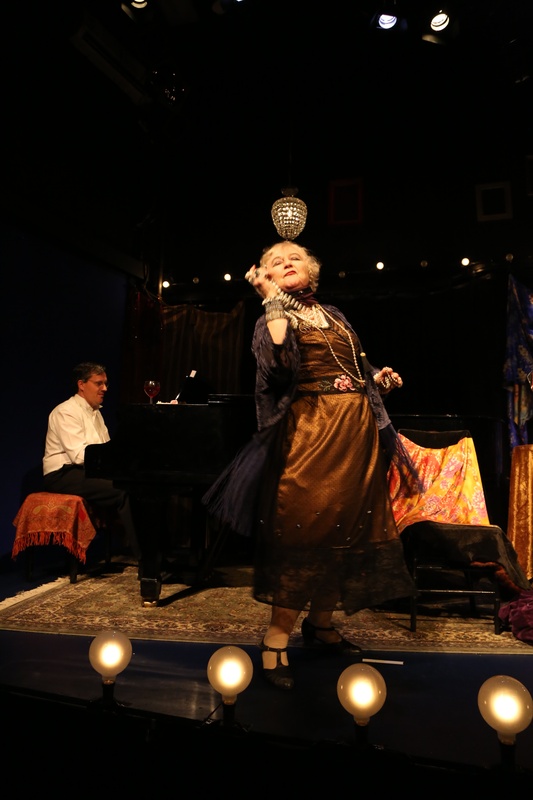 For the people who missed out last time, here is your chance to meet Bijou as she regales you with her life story, sings her joy and sorrow, and introduces you to the wonderful bar pianist Alain. VENUE: Street 2, The Street Theatre , Childers Street ACTON. SEASON: September 16 to September 20, 6 shows only. Wed 16 –Sat 19 @ 7.30pm. Sat 19 @ 2pm, Sun 20 @ 4pm.